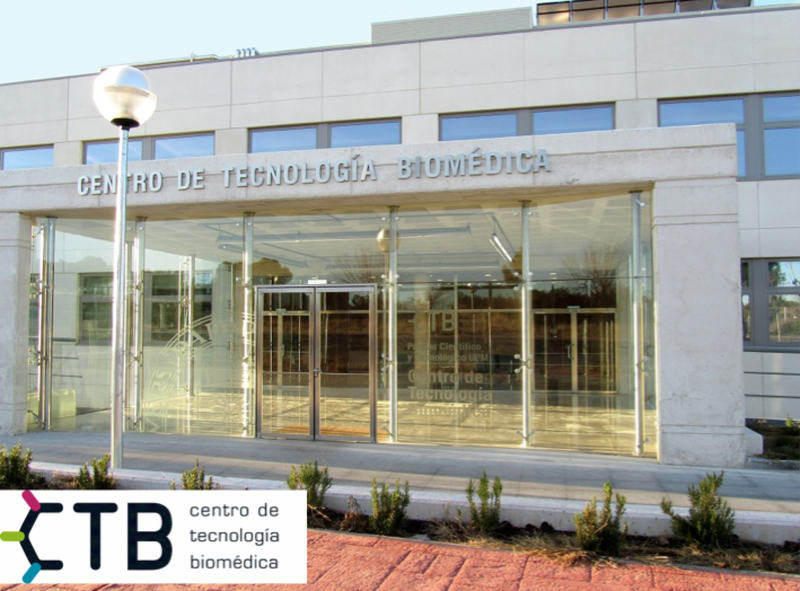 Transcribo, más o menos, lo que fue mi ponencia en BioSpain2014 (Congreso internacional celebrado en Santiago de Compostela del 24 al 26 de Septiembre) donde fui invitado por Asebio para participar en una mesa redonda sobre “Financing Convergent Technologies”. BioSpain 2014. September 26, 2014. 23 years ago, I finished my studies in Telecommunication Engineers School at Polytechnic University of Madrid. In Spain this degree covers a mix of computer sciences, electronic and theory of information applied to communication problems. Despite of studying two communication specialties; I’ve worked most of my career in software development. I became an entrepreneur and an employer, I studied an MBA… and right now, I own and run MediaNet Software, a company with more than 200 software engineers across three countries developing software for very large customers in the banking, telecommunication, energy, insurance, internet industry… MediaNet Software, will be soon a 20-year-old organization, and also the heart and beginning of some other spin-offs that sum up to other 100 specialized professionals in the IT field. For the last 10 years, I founded, promoted and supported some other initiatives with a variety of Internet business models such as:Mercadeuda, matching offers and demand of commercial debt between companies; Ready4ventures, a platform to facilitate connections between investors and entrepreneurs; Centralia, a common market place for procurement and admin services for neighborhoods’ communities; Belbex, a B2B Real State networking platform. 4 years ago, with a very solid background and experience as engineer, employer, entrepreneur and investor, I decided to become a student again. I got back to academic mode to try finding new fields of knowledge to develop by joining a 2-year Master degree in Biomedical Engineering at my first University. The Master was a mix of several disciplines. Some of then like Molecular Biology, Anatomy, or Physiopathology… were very strange to me as well as fascinating. Others like Medical Informatics, or Artificial Intelligence seemed more familiar to me. 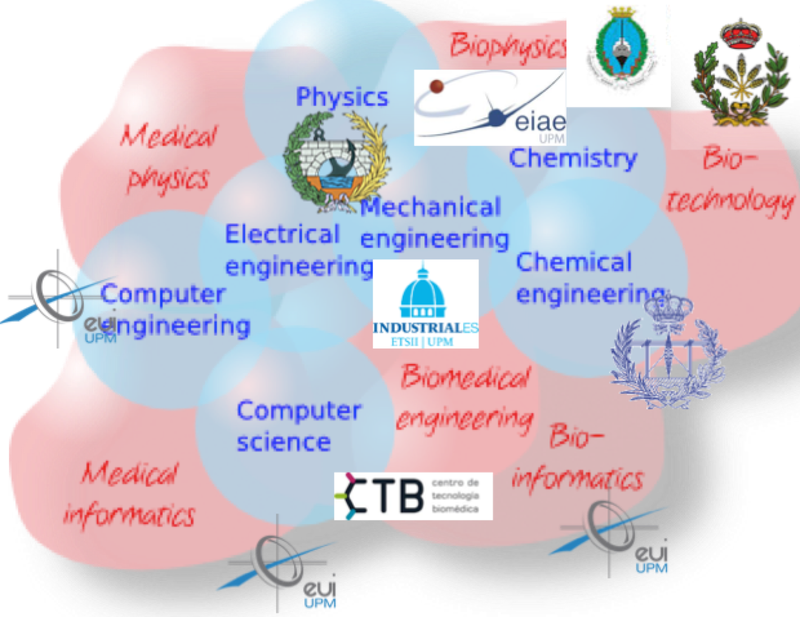 Some of the subjects were held at Biology School, other (like biomechanics) at Industrial Schools, other like “new materials” at Civil Engineering School (known as Caminos, Canales y Puertos in Spain), other at Computer Science School…. Other subjects, such as Medical Imaging, Electromagnetic Fields effects, Biofotonic, Assistive Technologies, Biomechanics… were hold at the Telecommunication School where I studied 20 years before. In fact, some of the teachers were the same professors I had two decades before. What is even more amazing is that, the same professors, still use almost the same mathematics, before focused on a problem of multiplexing information for communication through a wire, now focusing on a new algorithm design for a Computed Tomography or Magnetic Resonance Medical Imaging Acquisition. The same machine learning patterns that before were used to control or guide a vehicle across a road, now are used to try to build an artificial pancreas to control the right level of insulin or glucose. Practically the same technology used in the 80s and 90s for semiconductor design, is now the base for biosensors, and the technology designed for ink-printers 30 years before were the starting point for the design of CGH (comparative genomic hibridation) arrays for DNA studies. The massive sequencing of genes is not possible without new informatics and big data approaches and, in fact, are similar to map-reduce philosophy used some years ago for crawling the web with algorithms like Google Search Engine. Why we can address now bigger goals with the same technology? The Moore Law we saw in IT for many years, has enabled to use computer science first, for simple problems such as accounting, banking systems, to more complex problem for example with scalability challenged introduced with Internet, and now we are daring with Health and Medical disciplines: from helping us at micro simulation of physics of atoms designing new molecules before testing them with real molecules and chemical reactions, or to understand macro models of how spreads a particular epidemic or how to extract useful information and knowledge for all the medical patient records in, not only in a Hospital Information System, but also in a whole Public Healthy System or even in massive worldwide clinic studies. 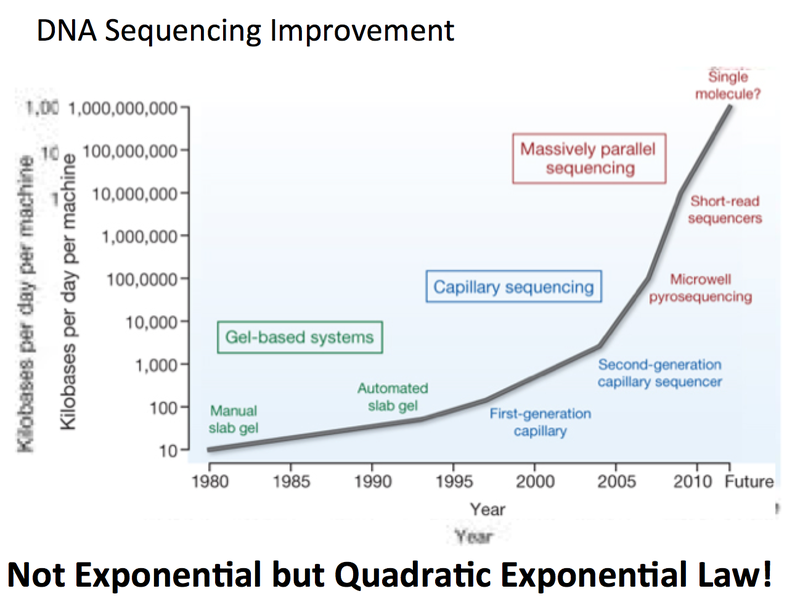 And that Moore Law in IT is nothing compared with the speed we saw the last 10 years of the DNA sequencing race (for example) where we can find out a quadratic exponential law. 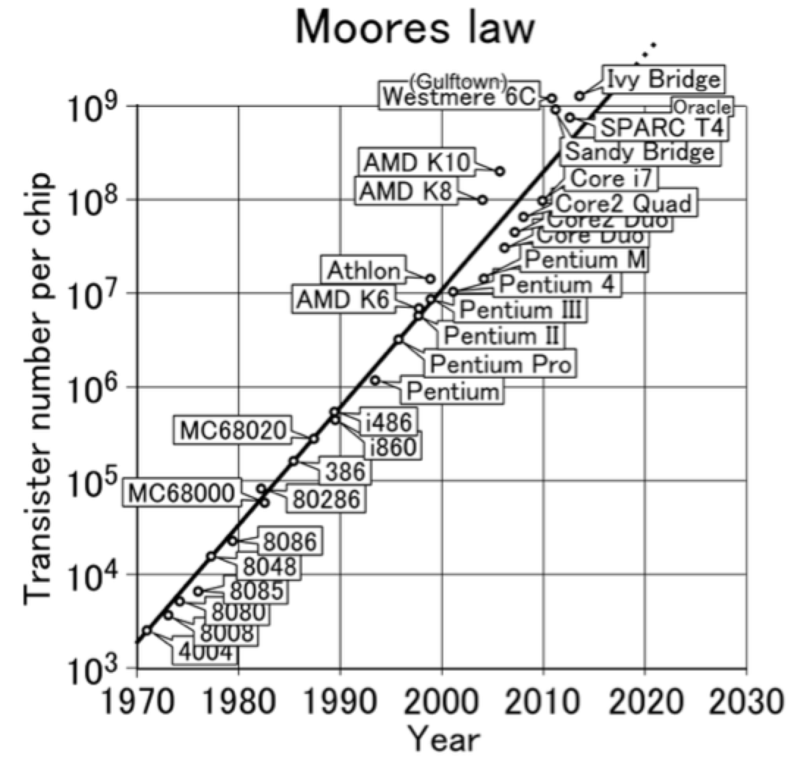 BioEngineers are mixing the electronic with the chemistry and so they are combining both improvements adding the power of Moore Law with other biological exponential laws that finally yield in a double exponential progress. Is now the right moment for VCs to invest in these new raising bio-ventures? 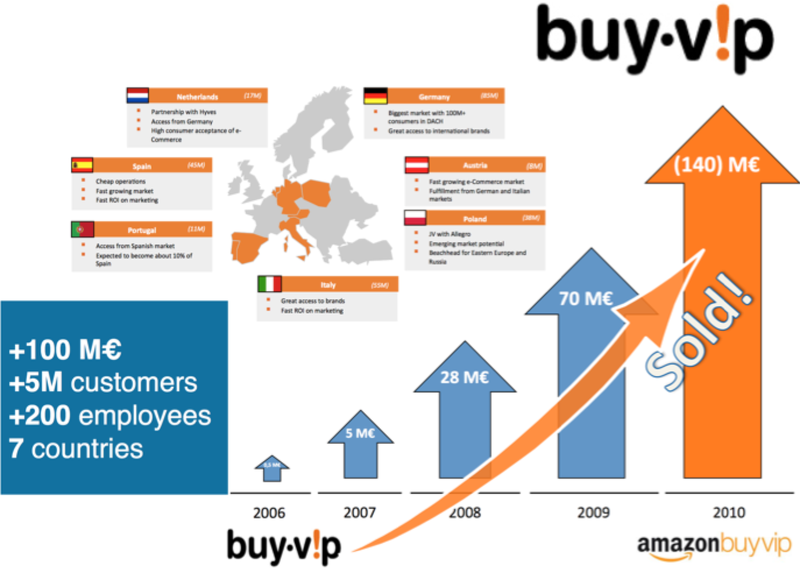 Nowadays, at the pure Internet sector, where I come from, there is a lot of money in Spain for investing in new projects (about 1 billion euros of Family Offices, VC, and different kinds of Business Angels). Although there are many Internet ideas of business plans fed by the apparent low entry barriers of internet technologies, by the interest of promoting self employment and also, because the entrepreneur fever encouraged in business schools, etc… However, there are only a few interesting business project to investi on: not from the viability of the business but from the investor and probability of the return of investment point of view. In my humble opinion, during these last two years, I’ve been actively seeking more projects in some specific BIO subsectors, where I believe there is a better opportunity for investing. So, I founded and funded HealthyTech, as a private fund to invest on some earlystage projects related with biomedical tecnologies, bioTIC, bioinformatics, and so. During last 2 years, I’ve invested on 2 projects for a total capital near to half a million euro. 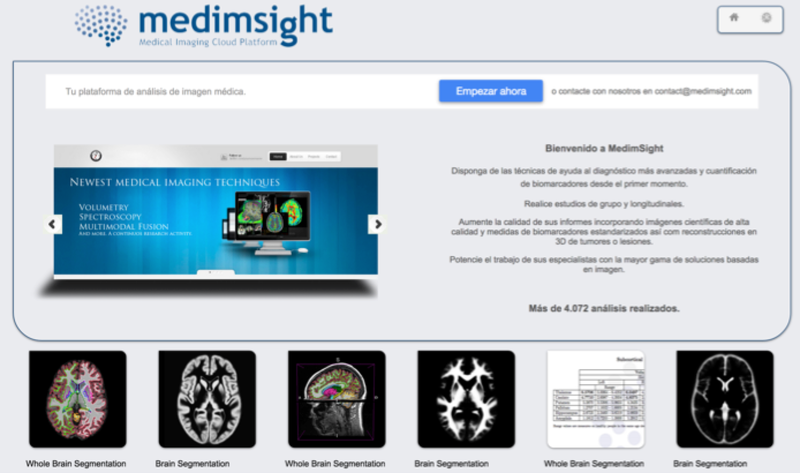 One of then is MedimSight, offers the power of cloud computing for processing medical imaging diagnoses. I think in next 10 years, having a MRI or CT equipment without the cloud processing offered by a service company like MedimSight, would be equals to having today a computer without an internet connection. 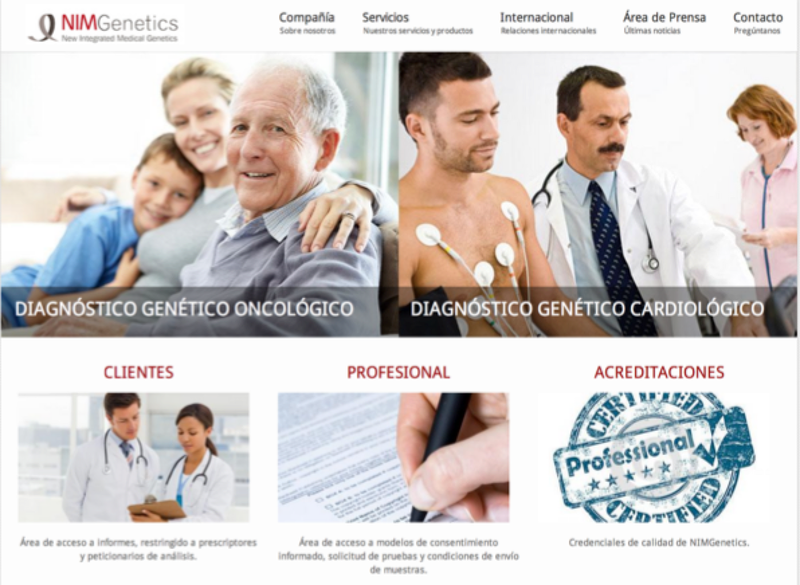 The second one is NIMGenetics, a well consolidated spanish company that’s leading the medical diagnosis with genetic tests. The company has recently closed an increase of capital round of more than 1 million euros in order to address properly its plans for international business development. Coming from Internet ventures, you have to adapt the metrics and priorities of some parameters for the evaluation of investments. – The entry barriers. Here, you need a knowhow and a team that you have to build up with several years. Meanwhile, at internet ventures, the entry barriers are very low. Practically, everyone come build a business model, powerpoint style, in a long weekend or as a practice exercise finishing your favourite MBA. – The competitors. 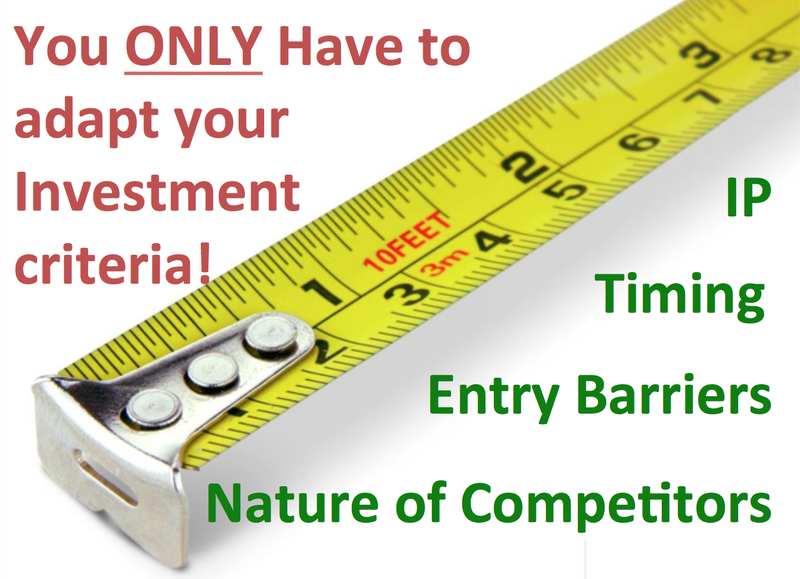 Because the low entry requirement for new competitors in the internet, you can discover 3 new competitors with your successful idea and business next week. However, as much as you need to start a business model an this sector, as much as you can take advantage of your specific knowhow compare with the abilities for your new competitor that probably you have been following for some months or years across the scientific congress or publications of the research group behind the new initiative. – The IP (Intellectual Property) or Patents are now valuable of have a reduced value at the Internet models where the key factor, the more important driver is critical mass and ability to speedy execute the deployment of strategies for capturing the more market share as possible. Studying the last centuries and last years of economic revolutions, we see the best opportunities during periods when, a new technology offers an exponential growth during some decades. 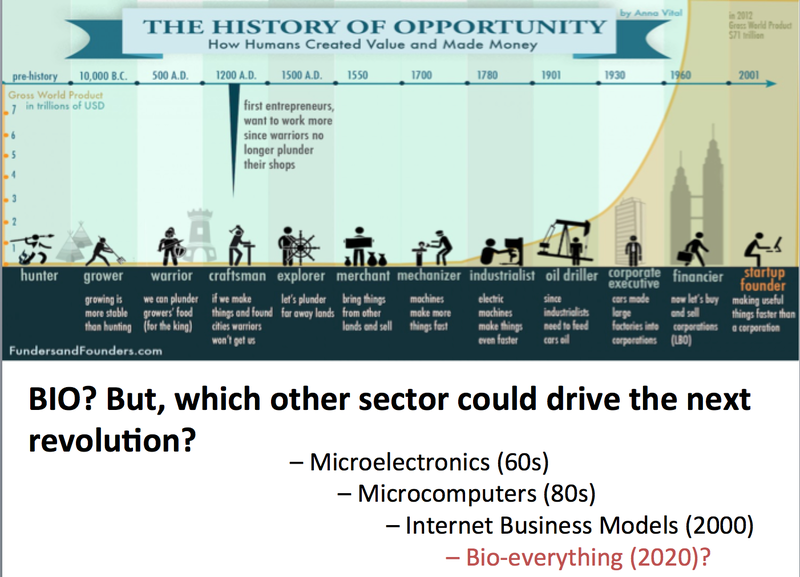 I believe that, investing in BioTecnology, BioInformatics, BioPharma, BioMedicine, BioEconomy or BioEverything for the coming decades, is like investing in microelectronics in 60s, in microcomputers in 80s or Internet at the beginning of this century. PD: Thanks to my editors :-), @enriquegoizueta and @eliavallejo, for their help preparing this post. Esta tarde (26 de febrero) me han pedido que participe en una mesa redonda en el Satelec 2014 de mi escuela ETSIT de la UPM. 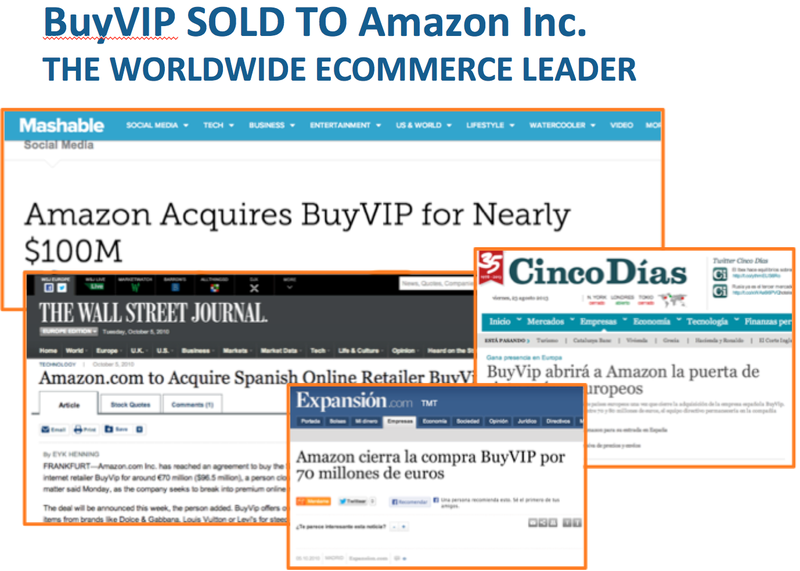 Acabo de publicar en http://www.medianet.es/medianet-y-buyvip-play-sam/ un pequeño resumen de este caso de éxito que no fue un éxito mío sino de toda mi empresa www.medianet.es y de otros socios. En MediaNet llevamos 18 años trabajando muy duro en diversos proyectos y donde ya nos estamos preparando para la “próxima canción del verano”. Según la RAE (Real Academia de la Lengua), lo primero que vemos al consultar el significado de la palabra “emprendedor” es que se trata de un adjetivo, y no de un sustantivo. El adjetivo significa “que emprende con resolución acciones dificultosas o azarosas” (referencia RAE). Entonces, les pregunto… señores políticos y metatrabajadores (esta palabra me la invento yo si es que no existe ya, y es para los que trabajan sólo hablando del trabajo de los demás)… ¿por qué pensamos que emprendedor es una alternativa a parado, o a autónomo, o a empresario, o a jubilado, o funcionario…? Todos estos aplican como sustantivo cuando hablan del status laboral de una persona. O ¿por qué pensamos que son un complemento a “empleo” que es un sustantivo (escaso eso sí)? Empleo y Emprendedores. Es como si dijéramos “Parados y pesimistas”, o “Autónomos y solitarios” o “Funcionarios y conservadores…” Hay correlaciones que hacen que estos sustantivos y adjetivos se unan a menudo, pero no mezclemos como arma de despiste. Los “fomentadores de empleo” se han adueñado de una palabra que es una actitud (normalmente positiva ante los riesgos que nos presenta la vida en cualquier ámbito) para convertirla en una supuesta tabla de salvación al drama del paro. Están consiguiendo desgastar tanto la palabra que en breve volveremos a verlo con un calificativo peyorativo para alguien que no tiene otra cosa mejor que hacer. En el pasado la connotación del adjetivo era negativa respecto a los negocios, se decía que una persona era emprendedora o aventurera cuando se liaba la manta a la cabeza con demasiada facilidad. Evidentemente era una percepción muy negativa que nos ha pasado factura dado que inhibía a mucha gente con ganas de hacer, con ganas de cambiar y ganas de crear. Pero hoy nos hemos ido al otro extremo. ¿no se puede ser funcionario emprendedor? Yo supongo que sí, que se puede ser emprendedor dentro de cualquier empresa, dentro de cualquier actividad personal o familiar y no sólo laboral. Por el mismo motivo que se puede ser funcionario inquieto, o funcionario optimista, o funcionario creativo (aunque no abunden). Pero hoy el adjetivo emprendedor está quedando estigmatizado pegado cada vez más al sustantivo “parado”, y a las personas que no tienen una mejor alternativa profesional. Se puede ser parado emprendedor, y también profesor emprendedor, y ejecutivo emprendedor. Yo personalmente me considero empresario emprendedor. Empresario (con perdón) porque he conseguido formar y dirigir algunas empresas que ya funcionan y generan empleo, y emprendedor porque intento gestionarlas en una actitud continua de adaptación al cambio, de creación y de regeneración constante, de riesgo y apuesta permanente por asumir retos como única fórmula de supervivencia. Sin embargo hace meses que pido que nadie me llame emprendedor, ni me invite a más charlas para dar consejos de emprendimiento. No me molestaba hasta hace poco, al igual que podían decir que soy alto, o pelirrojo, o creativo, o optimista…. Algunas actitudes vitales pueden ayudar en los negocios. Pero una actitud ante la vida no es una solución profesional, ni está restringida a los que no tienen empleo. Es una actitud que le pido a todos mis colaboradores y amigos profesionales, quieran montar una nueva empresa o quieran mejorar la empresa en la que trabajan probablemente por cuenta ajena. Actitud emprendedora? Sí!, ¡ por supuesto! … Con el talento de este país, si le sumamos este cambio de actitud en cada cosa que hacemos, no tenemos nada que envidiar a nadie. – o bien no conseguirá que su iniciativa prospere pero se las ingeniará para reconvertir su idea de manera ilimitada para permanecer en el glamuroso status de emprendedor de por vida (como el estudiante de por vida que acumula Masters como forma de ganar tiempo por la falta de opciones laborales)…. 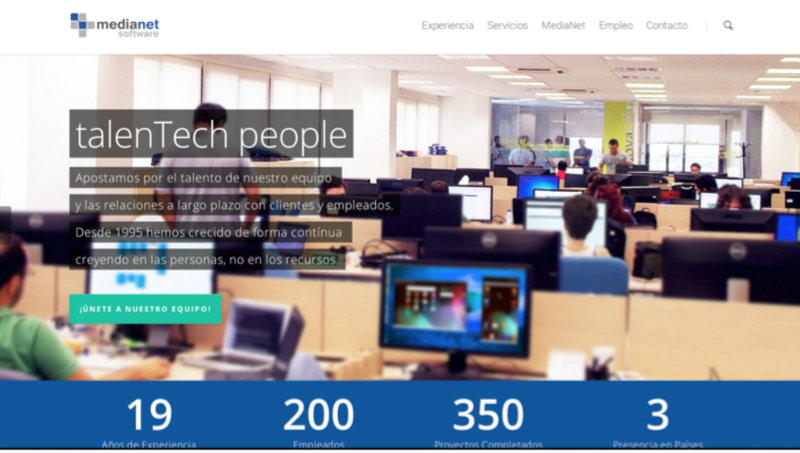 – y la tercera opción, conseguirá finalmente que su empresa funcione, y genere empleo para otros,… Bien!! Pero la mala noticia es que en este caso creo que la palabra emprendedor empieza a estar mal vista a partir de ¿50? ¿200 trabajadores? y tarde o temprano uno tiene que cambiarse el status a empresario (con perdón). Esta última fue, afortunadamente, mi situación hace tiempo que pasé de ingeniero emprendedor a empresario emprendedor. Quizá si no nos hubiéramos encargado de asociar tanto el sustantivo empresario con el adjetivo cabrón explotador, no tendríamos ahora que inventarnos nuevas palabras. Bien mirado, un emprendedor es alguien que quiere llegar a ser empresario. Y al fin y al cabo son los empresarios (y no los políticos) los únicos que crean empleo. Señores, emprendan, por favor, pero como actitud ante la vida, mejorando su empleo actual o creándose uno nuevo si quieren. Pero recuerden que ser emprendedor no es un status, es sólo una actitud o un modo de trabajar, o un modo de buscar trabajo, o un modo de mantener tu trabajo reinventándolo cada día. 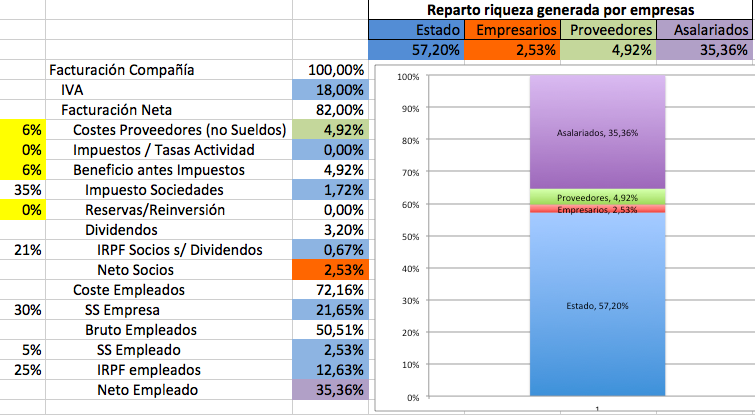 ¿Cómo se reparte la riqueza generada por cualquier empresa? Dejo una tablita y figura explicativa que, aunque tenga imprecisiones y simplificaciones, espero que deje claro que nos hacen falta emprendedores que se lleguen a convertir en empresarios, a ser posible de los que se forren con algún negocio…dado que eso significará lo mucho que recibiremos el resto. Hiring is one of the most important and critical tasks for any small business owner. After all, your business is only as good as your people. But how do you know who the good people are? And how do you determine which candidates will perform to your expectations? Anyone can put on a good show for a few hours during an interview. What you want are people who will still be good in a few months. Nothing is certain, of course, but the five questions below will help you see deeper into the candidate’s mind and make the decision that is best for your business. Small businesses are, by definition, small. That means that everyone has to share the responsibility. You need employees who can take initiative when necessary and make a decision when it needs to be made. This question forces candidates to demonstrate that they have had to deal with these make-a-call-and-make-it-now circumstances. This question gives the candidate a chance to brag about their accomplishments, but the real value can be found in analyzing their approach and thought processes. Some candidates exceed expectations because little is expected of them in the first place. Others exceed expectations because they understand the root causes of a problem and the nature of the circumstances…and then they take action based on those understandings. You’ll know if you’ve found the latter based on how the candidate describes the problems faced and their approach to the situation. The goal of this question is two-fold. First, employees that can adapt to a variety of circumstances are crucial in a small business environment. At some point, it’s likely that they will be asked to do something that is outside their normal job description. Employees have to be OK with that and capable of handling such a change. Additionally, you are asking them to convince you of something. This will give you an insight into how persuasive the candidate can be. Persuasion is critical in small business. In many situations, you are competing against businesses with more money, more resources, and more contacts. If you can’t be persuasive, then you will lose. 4. What have you done that demonstrates initiative and willingness to work? In all likelihood, your employees will be trained on-the-job. It is important to hire individuals that take action and aren’t afraid to get into the thick of things. There are few rotational leadership programs or well-organized training courses in small business. Employees need to be ready to jump in and willing to work through the sticking points when they come along. Moreover, running a successful small business is all about trust. You need employees that you can depend on and believe in, even when you aren’t around. If you fill your office with individuals that are self-motivated and take action, then you can be sure that business is moving forward. In a small business environment, candidates will have to prove themselves over and over again. Give them a chance to prove themselves right away. This question is the perfect way to open things up and allow the candidate to show you what they bring to the table. It’s also an opportunity for them to display talents that you might not have thought to ask about during the interview. Sometimes the most compelling qualities are hidden within our stories. A good hiring manager can pull those stories out as the conversation progresses and this question helps to accomplish that. James Clear is the founder of Passive Panda. He is an award-winning writer on business strategy and entrepreneurship and has delivered speeches in the United States, the UK, and Switzerland. MADRID (07.09.11). La red internacional de emprendedores Entrepreneurs’ Organization (EO), la comunidad de emprendedores más influyente del planeta con más de 8.000 emprendedores en 42 países, celebrará en Madrid el próximo día 15 de septiembre, a las 19 horas, en Hub Madrid (Gobernador, 26) una sesión de aprendizaje compartido “peer2peer learning” de puertas abiertas con el objetivo de dar a conocer esta organización a los emprendedores de la capital. En esta jornada será Agustín Maiz, CEO de Climetal y miembro de EO Madrid, quien compartirá sus experiencias sobre financiación del crecimiento de las empresas y finanzas desde un punto de vista estratégico. La principal característica de esta organización y de sus sesiones “peer2peer learning” es que los miembros comparten lo que les pasa en su vida profesional y personal, los éxitos y los fracasos, en un ambiente no competitivo y de total confianza. De esta forma, aprenden y crecen compartiendo experiencias con sus pares, no simplemente escuchando consejos. “El emprendedor español siempre ha sido desconfiado para compartir sus experiencias, problemas o necesidades con terceras personas, incluso con sus socios, pero en un momento, donde la internacionalización es la base de la expansión de las compañías, poder cooperar y compartir conocimiento con expertos emprendedores en todo el mundo permite afrontar en una posición mucho más ventajosa nuevos proyectos nacionales o internacionales”, según Agustín Maíz. 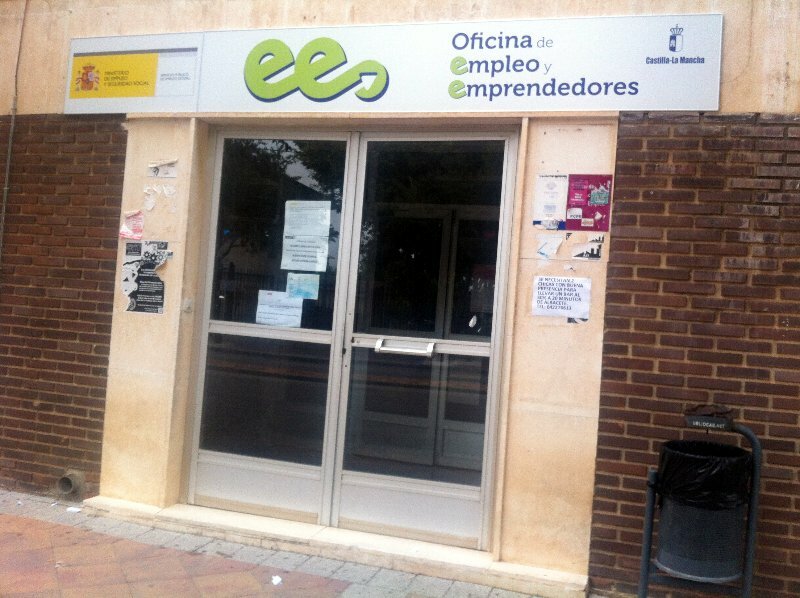 La Organización de Emprendedores (EO), fundada en 1987, se estableció en España en 2002 y llegó a Madrid en 2007. Fue creada por jóvenes emprendedores como una herramienta que proporcionara conocimiento, basado en buenas y malas experiencias, para que sus integrantes pudieran superar los diferentes escenarios que todos ellos se iban a encontrar, antes o después. Con una facturación que supera los 66 millones de euros, los 13 integrantes de EO Madrid dan empleo directo a casi 800 trabajadores, en diferentes áreas de negocio, desde servicios de comunicación o informáticos, hasta programas de televisión. Además de los beneficios derivados mediante un aprendizaje peer to peer, los integrantes de EO Madrid tienen la oportunidad de asistir a conferencias en todo el mundo y participar en eventos sociales originales que les brindan oportunidades directas de networking. Gracias a un site de acceso limitado los miembros de EO también pueden compartir sus experiencias con una extensa red de expertos en numerosas materias cuando lo necesiten. Mediante esta herramienta, se tiene acceso a profesionales en tratamientos médicos, consejos de negocio, habilidades sociales, coaching, peticiones de ayuda y mucho más. 1. Ser fundador, co-fundador, propietario o accionista mayoritario de una empresa. 2. Facturar un mínimo bruto anual de 1 millón de dólares. 3. Tener menos de 50 años. El reto de Entrepreneurs’ Organization a nivel global reside en crear la comunidad de emprendedores más influyente del planeta y para ello cuenta con más de 8.000 emprendedores en 42 países, cuyas compañías tienen una facturación anual media de 14 millones de dólares. EO es el catalizador que permite a los emprendedores aprender de sí mismos y crecer compartiendo sus conocimientos y experiencias, lo que les conducirá a un mayor éxito profesional y una vida personal más plena. A nivel internacional, EO generó en 2010 138 mil millones de dólares en ventas y da emplea a mas de 1,5 millones de personas.